I usually think of making jelly during the summer months when heavy puddings don’t appeal. But, for the same reason, after the excesses of Christmas and the New Year jelly is the ideal way to end a meal. I like the dinkiness of individual glasses of jelly but you can make a big bowl or even a terrine if you prefer. Soak the gelatine in cold water for 5 minutes. Meanwhile, pour 150ml of the Apple and Elderflower Pressé into a saucepan and add the sugar. Stir over a low heat until the sugar has dissolved and the liquid is hot but not boiling. Take off the heat. Lift the soaked gelatine out of the water and stir into the hot liquid. Pour in the remaining pressé and stir. Leave until the liquid is cold. 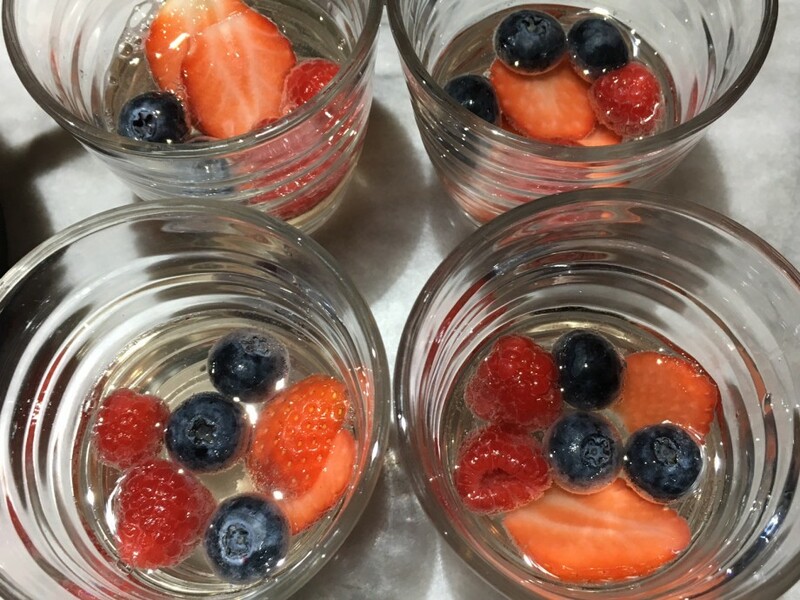 Divide a third of each of the berries among the six glasses. Pour over enough liquid to just cover the fruit. Chill in the fridge until the jelly has just set-about 1-2 hours. 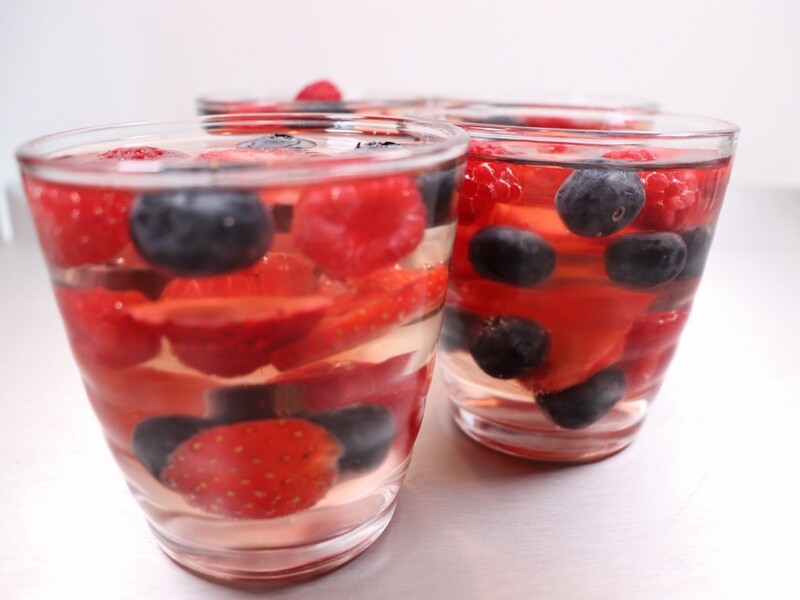 Put the second third of the berries into the glasses and pour over enough liquid to cover them. Chill until just set. 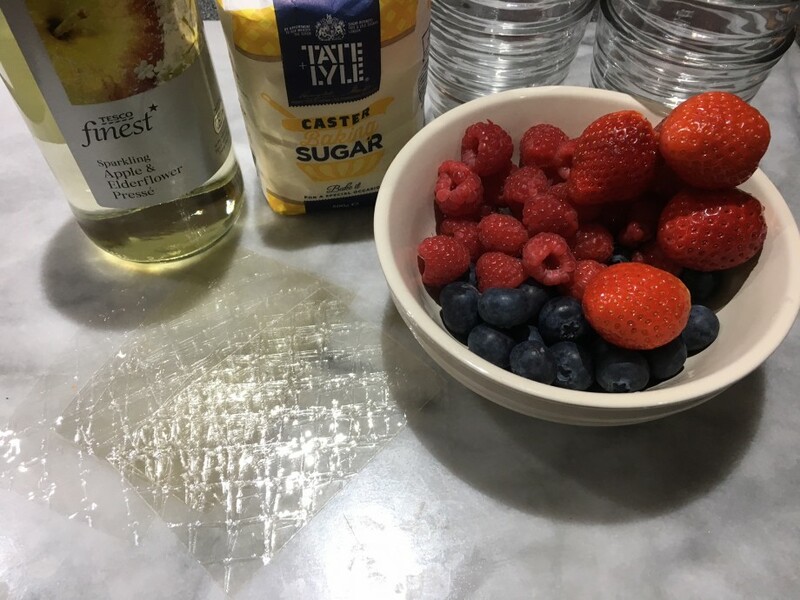 Put the remaining fruit in the glasses and pour in the remaining liquid. Chill until set. Serve straight from the fridge.